(AP) When Hollywood set out to tell the story of how Mark Zuckerberg launched Facebook, it enjoyed the flexibility of portraying a man who, despite his social network's worldwide reach, was all but unknown to the public. A year and half later, the movie "The Social Network" and the attention that followed have dispelled much of the mystery surrounding Zuckerberg, sketching out the essentials of his story line. But as Facebook promotes the vision of its 28-year-old CEO as part of this week's first-ever sale of stock to the public, one of the most striking features of his persona is the contradiction between the public and private that remains at its center. "Facebook was not originally created to be a company," Zuckerberg wrote in a letter, included with a regulatory filing needed for the initial public offering. "It was built to accomplish a social mission - to make the world more open and connected." Zuckerberg has built Facebook, which could be valued at up to $104 billion by the stock offering, into an international phenomenon by stretching the lines of social convention and embracing a new and far more permeable definition of community. Along the way, he's proven deft at recognizing the way people use social networks, reshaping and expanding Facebook's capabilities to draw in more users. On Friday, Facebook will begin trading on the Nasdaq Stock Market under the symbol "FB." Zuckerberg will remain the company's largest shareholder. His personal stake in Facebook will be worth around $19 billion. Living in a rental home even after he was a billionaire on paper, Zuckerberg isn't known for an extravagant lifestyle. He famously wears jeans, T-shirts and plain hoodies. He bought his Palo Alto, California, home for a reported $7 million - fancy but not outlandish for the pricey suburb near Stanford University and San Francisco. He lives there with his girlfriend, Priscilla Chen, and their Hungarian Puli dog, "Beast" (which incidentally has its own Facebook page). Now, even as investors take a stake in Facebook, its future remains contingent on a leader who is reluctant to reveal himself. "It's all in one guy's hands, that's what makes it so interesting," said David Kirkpatrick, author of "The Facebook Effect," a book chronicling Zuckerberg's story that was written with the cooperation of the man and his company. "It is a one-man show." Zuckerberg, who grew up in the New York suburb of Dobbs Ferry, New York, began writing computer code when he was 10 on an Atari computer, devising games and enlisting friends to do the graphics. As a senior at Phillips Exeter Academy, he and a friend created a Web tool called Synapse that built personalized music playlists by automatically determining listener's preferences. Microsoft reportedly offered the pair nearly $1 million, but they turned it down. Soon after arriving at Harvard in 2003, Zuckerberg created a site called Coursematch that allowed students to choose classes by showing what their classmates were doing. Then, in the fall of his sophomore year, he hacked into the online "facebooks" of Harvard's residential halls to create Facemash, a site that encouraged students to rank their classmates' looks. The university's Administrative Board called him in for a hearing, but let him remain at the school. In early 2004, former classmates said, the normally sociable Zuckerberg all but vanished for a week, emerging from his room to urge his friends to join a new creation called The Facebook. Stephanie Camaglia Reznick, then a freshman at Harvard who was the 92nd to sign up, said Zuckerberg quickly gained notoriety. She recalled when, arriving for the first day of a discussion group for an introductory psychology class, eyebrows went up when Zuckerberg's turn came to introduce himself. "Someone said, 'Great, you're the Facebook guy!' And he was so embarrassed," says Reznick, now a medical student at Case Western Reserve University in Cleveland. "He really played it down." Classmate James Oliver recalls a conversation in the dorm soon after, when Zuckerberg - he and others still refer to him as "Zuck" - explained that he had worked to launch Facebook quickly to show up a Harvard administrator who had said a university-wide online directory would take two years to create. By the end of the semester, Facebook had nearly 160,000 users. But three fellow Harvard students quickly took issue with Zuckerberg's creation. Identical twins Cameron and Tyler Winklevoss and friend Divya Narendra said they had hired Zuckerberg to write computer code for their own social networking site in November 2003, and that he had stolen their idea. The dispute over Facebook's beginnings - which the company settled by paying the trio $65 million - is far from unique. "Being first is heavily overrated in the technology space because all really good ideas end up being collaborative. ... It's the execution that matters," said Paul Saffo, of the San Francisco analysis firm Discern. In the summer after his sophomore year, Zuckerberg left Harvard for a rented house in Silicon Valley to build Facebook, expanding it to other campuses and then across the globe with venture funding from Peter Thiel, one of the founders of PayPal. Each time it seemed to plateau, Zuckerberg revamped it to create new utility and sources of entertainment. He turned down an offer from Yahoo! to buy the company for $1 billion. As it has grown into a phenomenon, Facebook has repeatedly sparked privacy concerns from critics concerned about its push to get users to reveal more personal information. But Zuckerberg, the face of Facebook, has offered up relatively little about himself. The bubble was breached in 2007 when 02138, a now defunct magazine for Harvard alumni, published a lengthy story about the dispute over Facebook's beginnings. The magazine obtained court files that were supposed to be sealed and posted documents on its website, including Zuckerberg's application to Harvard and long-ago postings from his online journal. Richard Bradley, the executive editor of the magazine, said the documents revealed details including Zuckerberg's social security number and financial data from Facebook's first year. 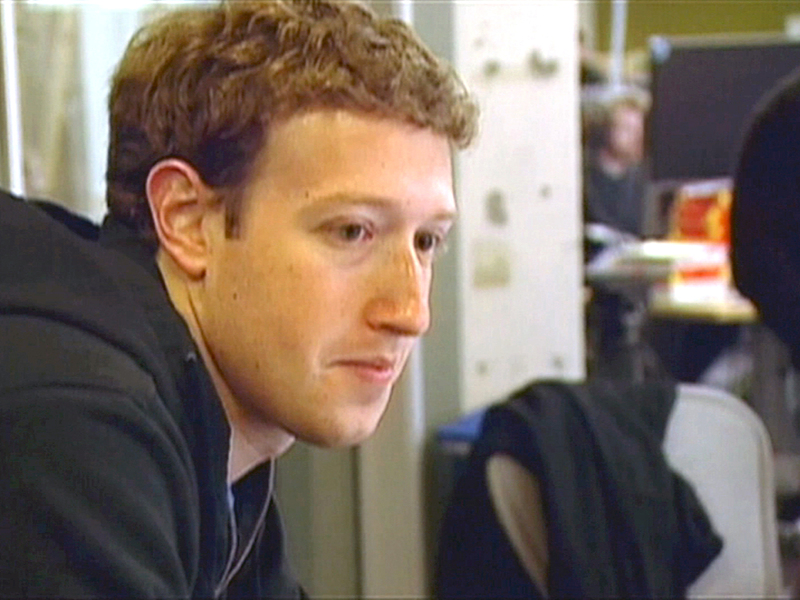 Facebook sued, seeking a court order to have the documents removed. "They shed some insight into Zuckerberg which he clearly did not want people to see," Bradley said. "Our lawyer conveyed to us the strong sense from his communication with Facebook's law firm that Facebook's lawyers were not entirely enthusiastic about pursuing this litigation, but that Zuckerberg himself was livid." Facebook's request was denied and the documents circulated freely on the Web, with little other information available to counter the portrait of Zuckerberg they offered. Some of those who know him say the perceptions are misguided. Rather than being some kind of anti-social genius, his success was based on the fact that he liked people and was well liked, they say. Kirkpatrick, who wrote the book on Facebook, said Zuckerberg's true genius is understanding how, in a new age, people and computers can interact. "Zuckerberg thought, 'I want to take the fact that transparency and sharing are the future," he said, "and build technology that takes that for granted.'"